Positive attitude makes you experience positive outcomes. Be positive and believe in yourself, positive things will make a happening life for you. Positivity in approach catalyses your effort and it culminates in extraordinary result. “Attitude is little thing that makes a big difference” said Winston Churchill. When we have a difference of opinion with others and get into a conflict, it either leads to having a positive or negative effect on the relationship. Your positive attitude gives a positive result whereas the negative, gives a negative result. A positive attitude gives the confidence of achieving anything and removes the doubt and lethargy. If you ask how this can be done rather than whether this can be done, it is positive attitude. 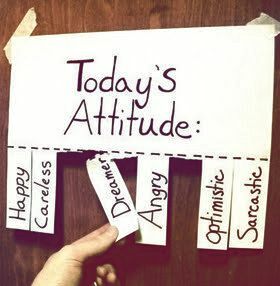 Evidently, a positive attitude towards life determines the life’s attitude towards us. This small attitude makes all the difference in life. A positive attitude has the capacity to create miracles and can cure diseases even the wonder drugs cannot. These quotes on attitude are really inspiring and enhance your self confidence and self determination. Spread them to others too.